Maya's little brother Ethan is always telling stories about the Sea Wolf, the monster in the sea around Black Rock. Maya doesn't believe Ethan's lies but she does believe the sea is dangerous so, when Ethan tries to prove he can kayak to Black Rock, she knows she has to try to save him. Will either of them make it back from the dark and deadly sea? Bloomsbury High Low books encourage and support reading practice by providing gripping, age-appropriate stories for struggling and reluctant readers, those with dyslexia, or those with English as an additional language. 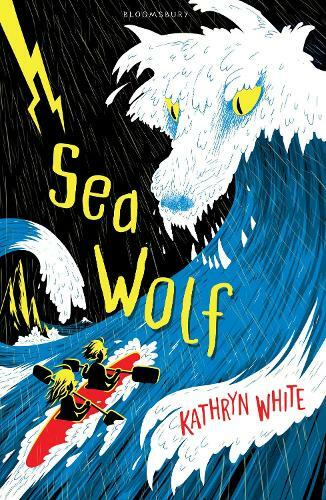 Printed on tinted paper and with a dyslexia friendly font, Sea Wolf is aimed at readers aged 9+ and has a manageable length (64 pages) and reading age (7+). Produced in association with reading experts at Catch Up, a charity which aims to address underachievement caused by literacy and numeracy difficulties.